This highly polished sterling pendant has a soldered bail at top to give it a beautiful finish. The entire pendant is 1.25" from top of the bail to bottom. I have these cast and fabricated to my specifications in Bali by a highly regarded silversmith studio. Comes on an 18" sterling chain (or you can select 16" or 20" from the drop down menu when ordering. Please note that the bail above the kidney, where the chain goes through, is different in the last photo from the ones in the earlier photos. I am now using the slightly triangular shaped bail shown in the first few photos, as I feel it is a better design. 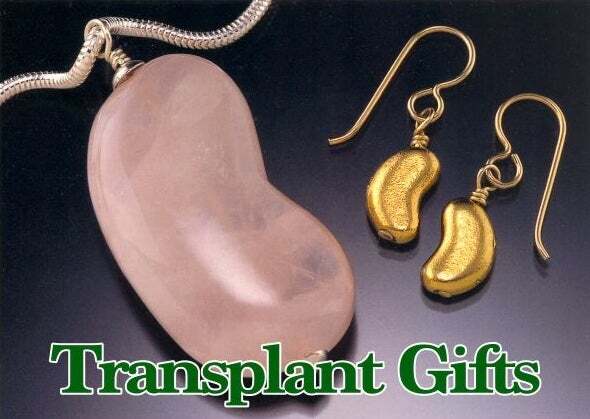 Here is a GIFT SET IDEA for transplant gifts between genders! Purchase one pendant and one Key ring with the same kidney bead, shown on this site nearby. I will discount your purchase by 10% too! I can package them together or separate. Please message me as I will need to send a customized paypal invoice to your email address. You do NOT need a paypal account to pay a business invoice. 10% sales tax when shipping within Illinois, calculated at checkout. International First Class shipping is figured for the UK, Australia and Canada. If you are shipping to any other country, please use the Contact button to send me a message and include your postal code. I will then send you a Paypal invoice with correct shipping for your payment by credit card. Let me know if you need it by First Class (slower) or Priority (Faster). in a kidney colored box. We're all about the kidney around here!